LongNor Optoelectronics Co., Limited is leading LED Neon Flex, LED Strip Lights, LED Wall Washer manufacturer & supplier was established in 2008 with more than 200 employees that is located in Shenzhen China. Our company began manufacture LED Neon Flex, LED Strip Lights, LED Wall Washer at the early development during 2008-2011. OEM & ODM services provided. with strong enthusiastic & passionate R&D team of professionals with years of experience on LED lighting technology & products, which can guarantee its best quality. For our LED Neon Flex, LED Strip Lights, LED Wall Washer, we provide the best solution in the market with Bridge-lux 45mil Leds meanwell drivers to ensure its long lifespan. CE, RoHS, FCC, TUV, SAA, UL Certificated, ISO9001 International management system. 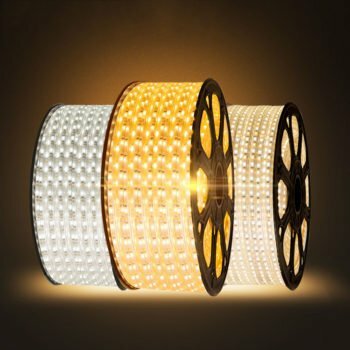 All of LED Neon Flex, LED Strip Lights, LED Wall Washer lights we offer 3 years guarantee. UFO Led High Bay 200W Philips Led driver with 5 year warranty offers extreme efficiency up to 28,000 lumens and is IP65 rated and Bridge-Lux LED chips with 140 lumen/watt LM80 qualified which guarantees energy savings and a bright lit up space. UFO Led High Bay 150W Philips Led driver with 5 year warranty offers extreme efficiency up to 21,000 lumens and is IP65 rated and Bridge-Lux LED chips with 140 lumen/watt LM80 qualified which guarantees energy savings and a bright lit up space. UFO Led High Bay 100W Philips Led driver with 5 year warranty offers extreme efficiency up to 14,000 lumens and is IP65 rated and Bridge-Lux LED chips with 140 lumen/watt LM80 qualified which guarantees energy savings and a bright lit up space. 100W UFO Led High Bay 5 year warranty offers extreme efficiency up to 14,000 lumens and is IP65 rated and Led Bridge-Lux chips with 140 lumen/watt LM80 qualified which guarantees energy savings and a bright lit up space. Future illumination is Laser Lighting or OLED Lighting?